I was making my breakfast this rainy and windy yesterday morning (the first proper moisture in two months) and I carelessly looked out the window at my feeders. 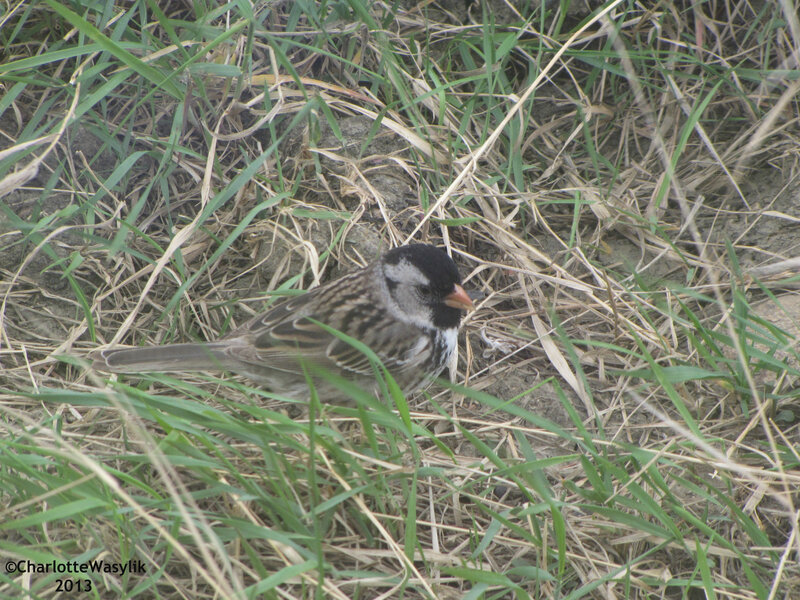 I saw a bird that looked different than the usual ones, and then it dawned on me — a Harris’s Sparrow, a life bird for me! 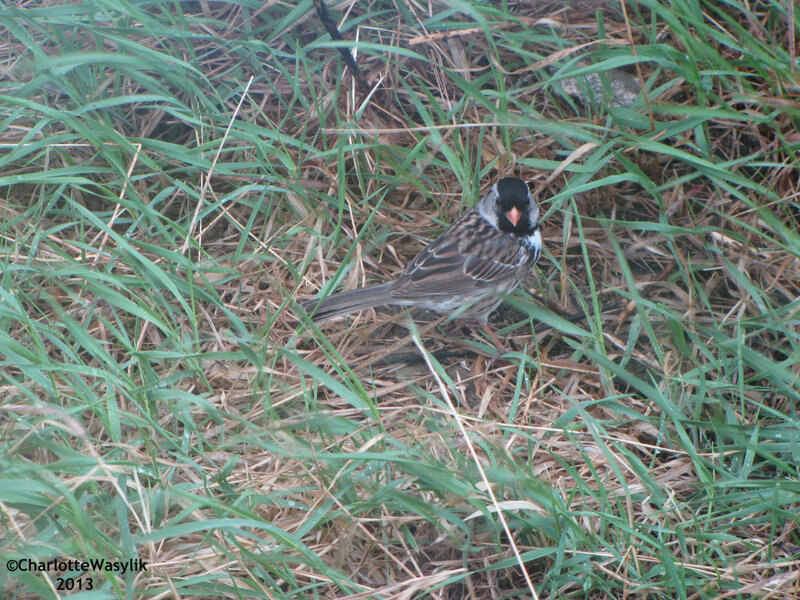 I had to run downstairs to my bedroom to get my camera, hoping the bird wouldn’t leave. In fact, he stayed around all day. He was in the yard when my mother and I returned home from our trip to pick up almost 1,000 shelterbelt trees, and then at the end of the day when we came back from my egg run in town. 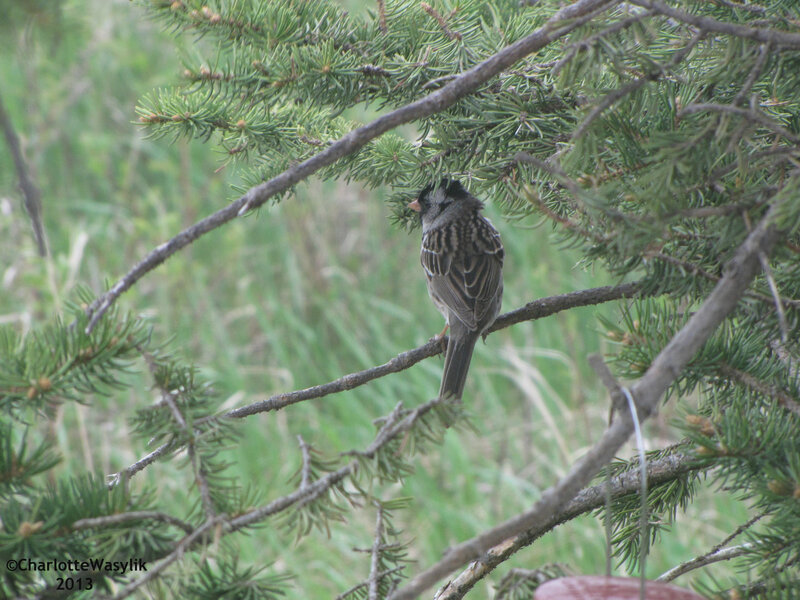 This entry was posted in Alberta Birds, Birding, Feeding Birds, General Birding, My Life List, Nature, Photography, Spring, Year List and tagged Birds, Harris's Sparrow, Lifer, Sparrow. Bookmark the permalink. Beautiful bird and great find. One of the things I love about birding, you never know what might show up or when! 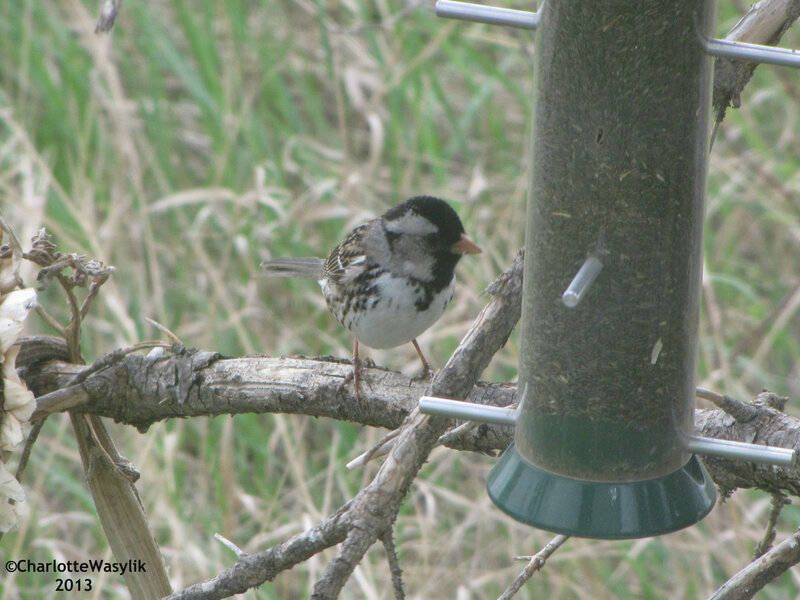 Congrats on your lifer Harris Sparrow. I really enjoyed your photos of this bird as I have the ones you’ve posted in the past. It’s always a special treat when Ray has you on his program. Thanks so much, Sam. I try to phone in to Ray’s show regularly, but I don’t always make it! Congrats on your lifer! It’s always appreciated when they stick around and get to know you! It is really great when the birds come to you and get so close! I hope you see one again soon, Ken, they are really cool birds! 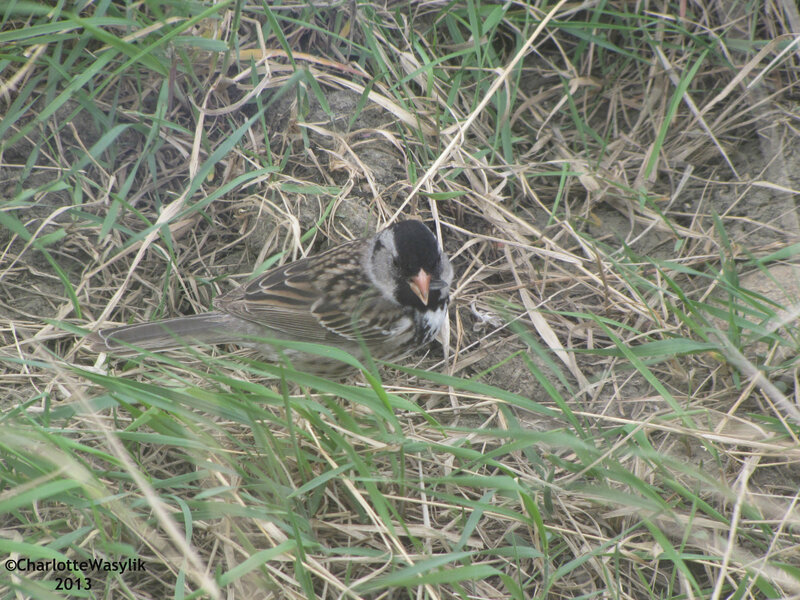 Congrats on the lifer Charlotte, it is a gorgeous sparrow! Nice work there Charlotte. Seems more sightings this year..or maybe more birders out there!!! i love these handsome little guys! i’ve only seen a few pass thru here in winter, but they are always a thrill! congrats!